Rubio Monocoat Exterior Hybrid Wood Protector is an ecological protective coating for new and weathered wood. 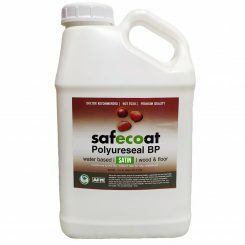 Exterior Hybrid Wood Protector has zero VOCs, formaldehydes, and isocyanates and is used for coating new and weathered wood. 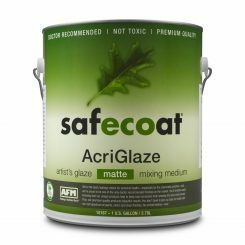 In a single coat it protects against fading and wood rot of façades, terraces, shutters, portals, garden furniture, frames, pontoons, etc. Also suitable for interior use. The Rubio Monocoat technology is linked to a new generation UV stabiliser and a product resistant to blackening: approved for extreme climates. Guaranteed application in only one layer. Easy to maintain – renovation without the need for sanding. Does not form a film layer. Does not flake. Exterior Hybrid Wood Protector can be used with any wood type (exotic wood, soft wood, thermally treated wood, etc.). Never apply in direct sunlight and at temperatures under 50ºF or over 85ºF. Only work when weather conditions are dry. Do not cover and do not place heavy objects on the wood until completely dry. Close the packaging thoroughly after use and protect from direct sunlight, frost and moisture. Never dilute. * Pure – does not prevent the wood from turning grey. * White – will become brighter when exposed to UV. On non-UV exposure the white will become off-white. * These samples are purely indicative and not binding. +/- 300 square feet per liter. – Shake the spray well. Spray product onto surface. Do not use this product without consulting the full instruction and technical sheet. 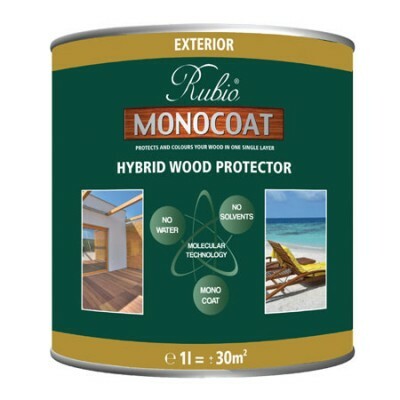 Click here for a video demonstrating the application of Rubio Monocoat Hybrid Wood Protector.